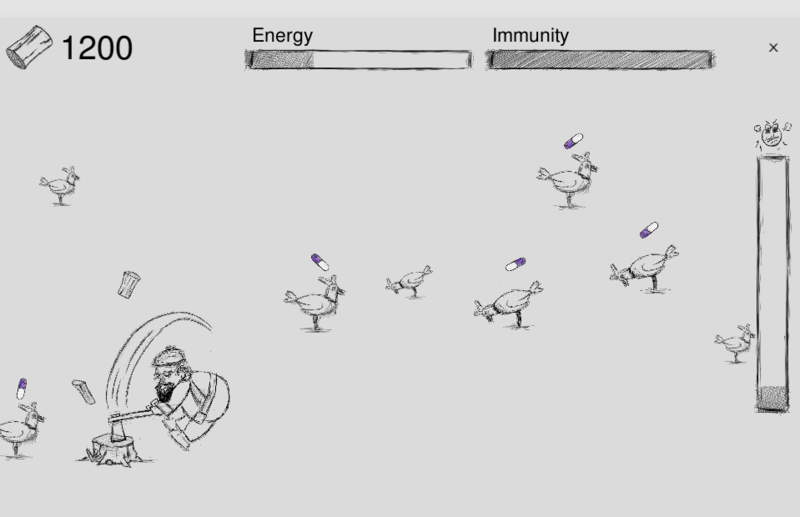 Game created for 48h game jam about the global issue of an antibiotic resistance. It was awarded first prize at this game jam. After nuclear war only chickens survived… and humans. To be specific two types of chickens. Eco-chickens and antibiotics-chickens. The first one are a bit smaller than the second one but there are at the same time much faster and more difficulty to catch. Your goal is to chop the wood but you need to eat chickens to get energy to do so. Choose wisely the type of chicken for your dinner.